10mm x 270mm Duster Expert SDS-Plus Bionic Hammer Bit by Heller, German Engineered for the Highest Quality. Total Length: 270mm Working Length: 15..
10mm x 110mm SDS-Plus Bit by Heller, German Engineered for the Highest Quality. Bionic sds-plus hammer bits FAST &a..
10mm x 160mm SDS-Plus Bit by Heller, German Engineered for the Highest Quality. Bionic sds-plus hammer bits FAST &a..
10mm x 210mm SDS-Plus Bit by Heller, German Engineered for the Highest Quality. Bionic sds-plus hammer bits FAST &a..
10mm x 260mm SDS-Plus Bit by Heller, German Engineered for the Highest Quality. Bionic sds-plus hammer bits FAST &a..
11mm x 160mm SDS-Plus Bit by Heller, German Engineered for the Highest Quality. 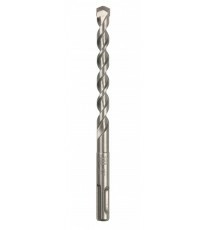 Bionic sds-plus hammer bits FAST &a..
11mm x 210mm SDS-Plus Bit by Heller, German Engineered for the Highest Quality. Bionic sds-plus hammer bits FAST &a..
11mm x 260mm SDS-Plus Bit by Heller, German Engineered for the Highest Quality. Bionic sds-plus hammer bits FAST &a..
12mm x 320mm Duster Expert SDS-Plus Bionic Hammer Bit by Heller, German Engineered for the Highest Quality. Total Length: 320mm Working Length: 2..
12mm x 160mm SDS-Plus Bit by Heller, German Engineered for the Highest Quality. Bionic sds-plus hammer bits FAST &a..
12mm x 210mm SDS-Plus Bit by Heller, German Engineered for the Highest Quality. Bionic sds-plus hammer bits FAST &a..
12mm x 260mm SDS-Plus Bit by Heller, German Engineered for the Highest Quality. Bionic sds-plus hammer bits FAST &a..